Amazon announced its intent to use drones to deliver packages under five pounds within a few years. Photo by Amazon. A U.S. Senate committee will hold a hearing early next year on the potential economic impact of companies using drones, including the newly announced Amazon Prime Air. 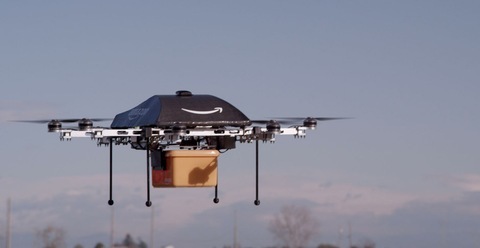 BuzzFeed reported Monday an aide to Sen. Jay Rockefeller — the chair of the Senate Committee on Commerce, Science, and Transportation — acknowledged plans for the hearing began before Amazon CEO Jeff Bezos announced plans for drone delivery.